I'm baffled by the things he can do with nature. No glue, no man-made objects, it simply is what it is. 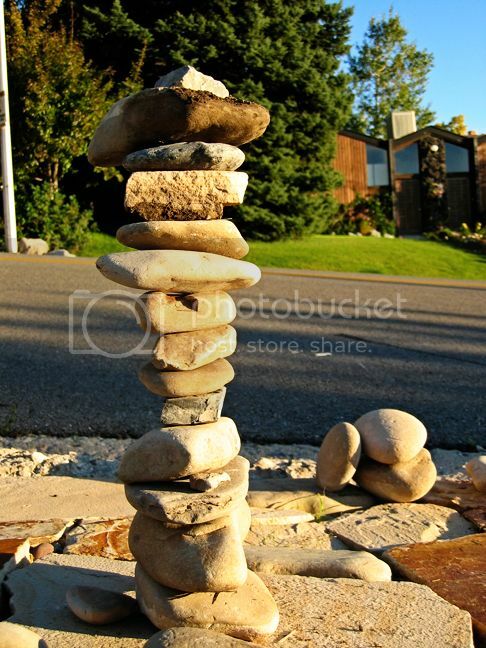 And this is my feeble attempt at copying his style: I stacked some rocks. 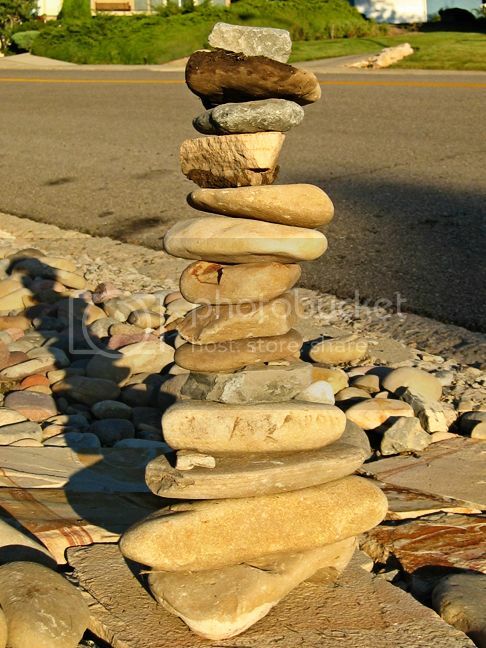 Love the stacked rocks! I bet it is hard! Glad to get caught up with you a little bit! You do love your cereal, don't you? :) My hubby loves cereal too. Love all the cute things that your dad got for your baby! And I love love love the muffin tin idea... very cool! Mine may be a little old for that idea on a daily basis but it may make for a special occasion lunch or something. Have to think on that one! Hope you are feeling well! You look great! I too am paranoid about my phoyo files. I won't even upload them to the computer, and clean out my memory cards for fear out computer might crash and I'd lose it all! I've always been a huge Andy fan. I did a report on him in school once. 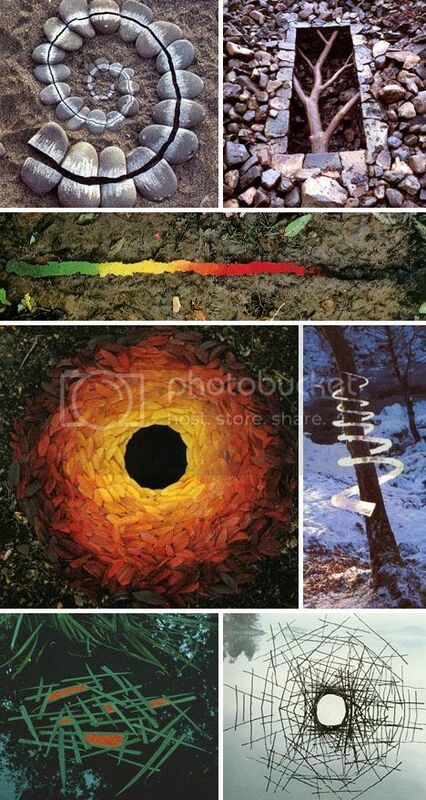 I like his works soooo much better than Robert Smithson. I just like Andy's style and philosophy so much more. I especially like the icicles and sticks. Wow, cool! And that stack of rocks is HUGE!!! My friend's dad does that, but his piles are MUCH smaller. LOL. I can't believe you stacked them that high! That's AWESOME! Ever heard of the Spiral Jetty? It's in Utah off the shore of Utah Lake. I learned about Andy in my Humanities class last semester. His stuff is pretty cool. I like what you did too!Pretty nifty!